A new school year has just started! Our Spanish classes will begin soon. Since we are beginning a new school year and the kids are talking everything related about school, I thought it would be fitting to learn some vocabulary in that topic. 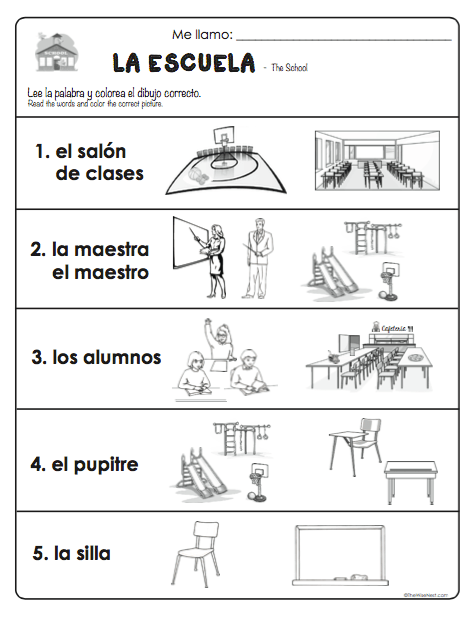 We will learn different places in the school and a few items found in the classroom. For more school supplies vocabulary, visit the post I wrote about School Items. 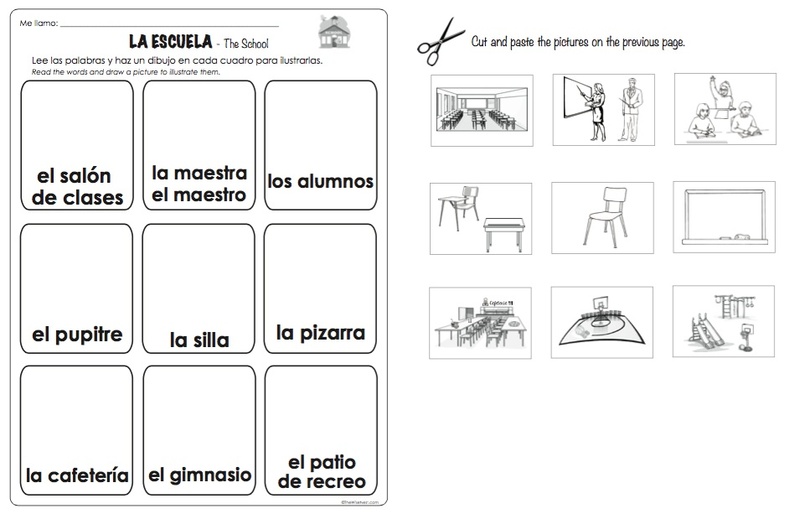 In the file below you will find a few different worksheets. The first two sheets are the vocabulary sheets. One in color and one in black and white to use for coloring. 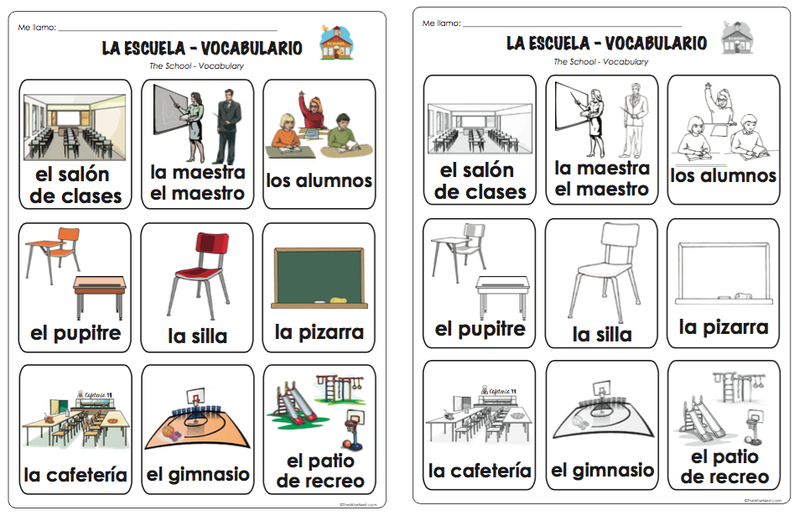 I hope you can use these resources to help your child learn more Spanish at home or at school!